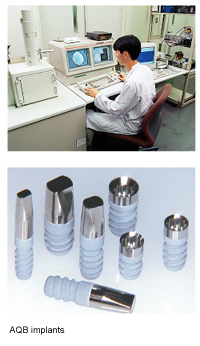 New Material Science Laboratory - ADVANCE CO., LTD. The New Material Science Laboratory conducts research and development focused on biomaterials, especially hydroxyapatite, a kind of bioceramics. In the fields of medicine and dentistry, various devices and materials have been widely used for treatment and diagnosis, which are indispensable for recovery from functional disorders or improvement to the quality of life. Especially materials implanted in the body for a long time must be biocompatible and non-cytotoxic since they may directly contact tissues. 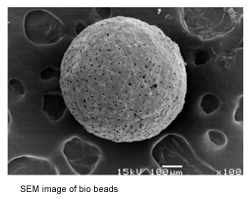 A newly developed material, therefore, should be thoroughly tested in animals for biological reactions, material deterioration, cytotoxicity and so on to evaluate its biocompatibility as a biomaterial in pathological, biological and material aspects. Depending on application, not only ceramics including apatite but metals and polymers could be a subject of study. In addition, development of new materials that are a composition of those materials and manufacturing methods may be needed. Percutaneous terminals, artificial roots, artificial blood vessels and new metal biomaterials are new materials and applications created on a base of our own technologies and ideas. 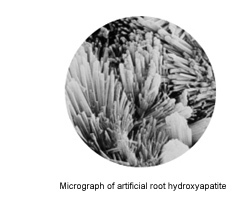 Among them, an artificial root has been marketed as a dental implant using a thin layer coating of recrystallized hydroxyapatite, and has been highly appreciated by a lot of dentists and patients. 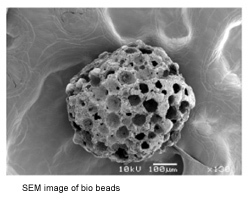 By developing such materials, research may lead to the development of an integrated system. New materials for dentistry, medicine and environmental engineering are such new research subjects. New studies that apply biomaterials to medicines, cosmetics, foods, industrial materials and environmental materials have also been done. Now, we are actively engaged in research and development in cooperation with universities, research institutes and companies with a mind to contribute to in the advancement of medicine, dentistry, engineering and environmental engineering, and the prosperity of humankind.